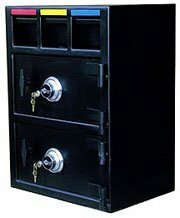 Depository safes are designed to offer complete cash management versatility with a wide selection of depository options such as a top, front or rear load depository, one to three deposit slots or a pull- out deposit drawer. 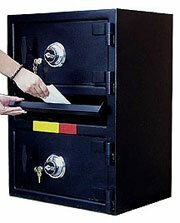 Depository Safes allow the cashier to keep only the necessary funds available in the register. 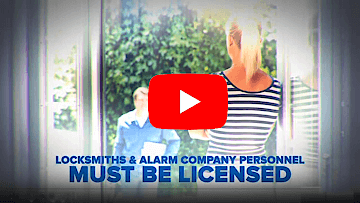 For more Information please call time accessus at 918-663-8660.